CLIME Connections: I Voted for Steve Leinwand for President-Elect. But Will he Deliver? I Voted for Steve Leinwand for President-Elect. But Will he Deliver? In my last blog entry I highlighted Stanford professor Jeremy Bailenson and his keynote speech for the upcoming NCTM regional conference in Hartford entitled “The Virtual Revolution in Teaching and Learning.” I said, if ever mathematics education is to get out of this era of doldrums where the Common Core (business as usual) Standards is the major rallying cry, it will be lead by linchpins like Jeremy Baileson who are creating disruptive forces that will eventuallly change the face of math education. 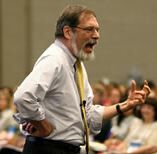 Which brings me to my curious endorsement of Steve Leinwand for President-Elect of NCTM. Steve's track record certainly makes him highly qualified. His talks are inspiring and he pushes for the teaching and learning of math to dramatically improve at every turn. He's laid out his arguments extremely well in his latest book “Sensible Mathematics Second Edition: A Guide for School Leaders in the Era of Common Core State Standards.” But looking at the larger picture what he is arguing for may not be so sensible and reasonable after all. In the description of Jeremy Bailenson’s talk in Hartford he writes that "virtual reality will transform curricula, assessment tools, and the very nature of student/teacher relationships." Steve argues as most endorsers of the new Common Core Standards do, that the Standards, if achieved, will go a long way to help improve the quality math teaching and learning. That's true, but what are the chances of that happening? Based on recent recent history, I would venture to say "Little to none." Why? Because it requires all teachers to become in a way super teachers. And that implies that things will only truly get better when Super-man and woman arrive on the scene. Though that would be lovely, most likely it would only happen in the movies. The grammar (Larry Cuban’s definition) of most schools will maintain the status quo by tweeking the new Standards into something that will pretty much look like the old Standards. And, of course, we have business as usual. The Math 2.0 vision as CLIME has been endorsing since 2009 means taking a bold, new direction outside the box. The pieces of the true 21st century "curriculum" are out there but don't as yet breathe life into learning. Yes, the Common Core can help to improve the teaching of algebra, for example. Hung Hsi Wu's ideas are well incorporated in them. His belief is that, if we just improve how we teach algebra using (his) better textbooks, then we will achieve the Standards. The answer lies not in getting the teaching of algebra done right or the books for that matter (there are plenty of traditionalist who think the texts were better in the 1950s) but rather envisioning curriculums that make algebra interesting, useful and empowering to students. The architecture for building this kind of "curriculum" has been around since John Dewey's day but is now becoming more “real” through the power of emerging technologies. Seymour Papert wrote in 1990 that the Standards at that time were a move in the right direction, but were way too conservative. Technology is changing the world around us, yet our schools stay stuck in the Standards Era where Algebra rules and is the gatekeeper to future success. Whats next when this lastest version loses its shine? A shinnier retread? Is that the best we can do? go hand in hand. Teachers are mentors and advisors. They do not have to be subject “experts” but rather excited about the subjects they encounter and are learners themselves who model what it means to be a good learner. be student driven. Students have a much greater input into what they learn and how they learn it. be project based. Students choose projects with the help of their teacher advisors where they can pursue meaningful activities. offer needed feedback for both teachers and students. It should be performance based that shows competency (for both teacher and student) in the project they are working on. Bottom line: the teacher is an expert in learning. If a teacher doesn’t know something that’s pertinent to any activity she and students can research the answer. Effective Googling strategies are important 21st century skills. Quality, genuine joint student and teacher journeys in learning should be THE core Standard for the 21 century. Emerging technologies make this more possible than ever before. 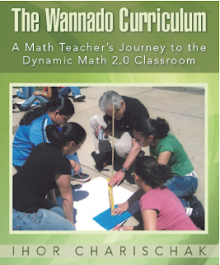 Note: I'm currently working on a book about the Wannado Curriculum. See a preview in my other blog. 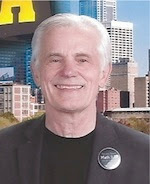 Reason 7: I will ensure that NCTM and its affiliates grow and thrive over the coming decades. If our children are to get the mathematics education they deserve, our profession must recruit and retain tens of thousands of talented new teachers in the coming years. As teaching environments and working conditions deteriorate in so many of our schools, NCTM must find better ways to work together to ensure our collective success. Our effort must not only focus on reaching out to new teachers and mentoring them into our ranks, but it also must include working better together as veteran leaders. For too long, NCTM and its affiliates have worked in tandem, not together, to achieve our common goals. Under my NCTM presidency, we will examine and strengthen the relationship between NCTM and its state, provincial and national affiliates, and together we will find ways to reach teachers—veteran teachers not currently in our ranks, new teachers who need our support, and new potential teachers on whom our children must count—in order to strengthen our collective membership and speak to educational policy and funding agencies with one clear professional voice. As president of CLIME I've always been grateful for the help and support provided by NCTM to help CLIME and their friends get our message out there about the important role that technology will continue to play in changing the culture of schools.